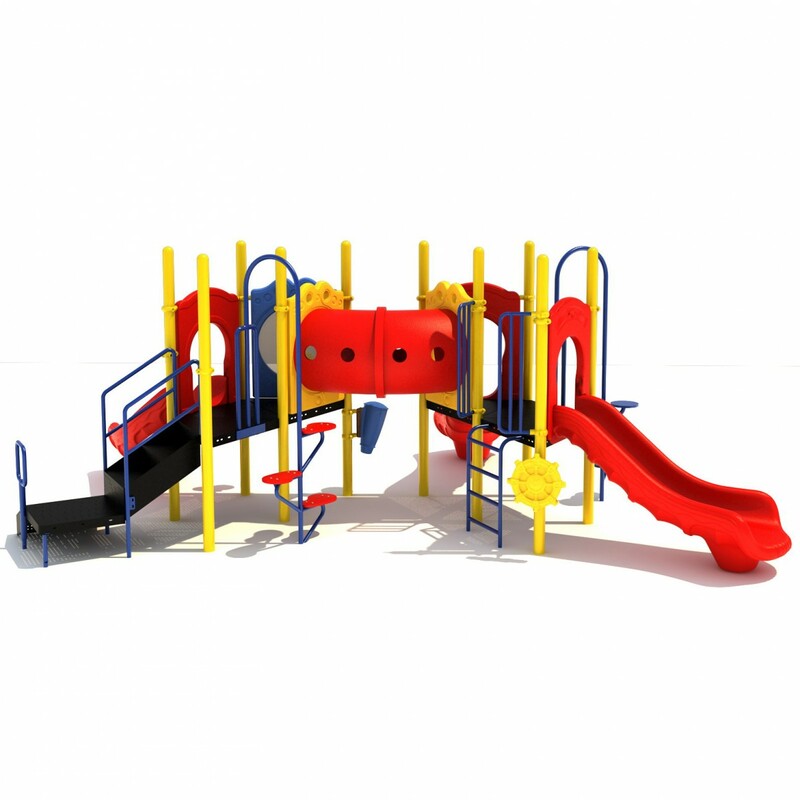 When looking for a structure that has a little bit of everything to offer for kids, consider the Ann Arbor play system. 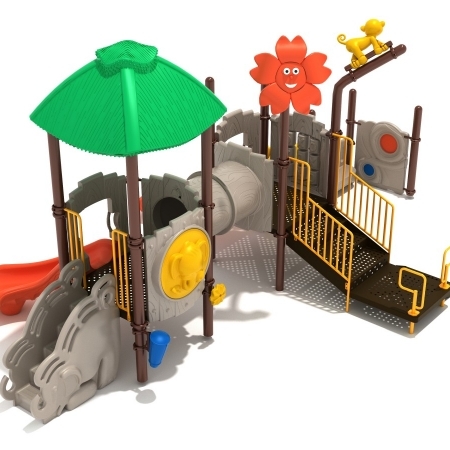 Designed for the 2 to 12 year age range, this unit features two main decks that are connected with a crawl thru tube. 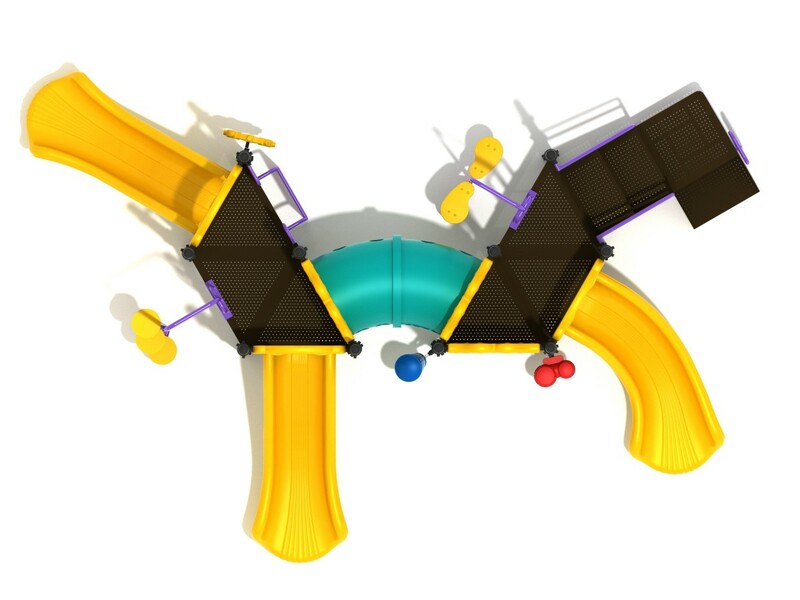 One deck features a right turn slide and a bean pod climber. 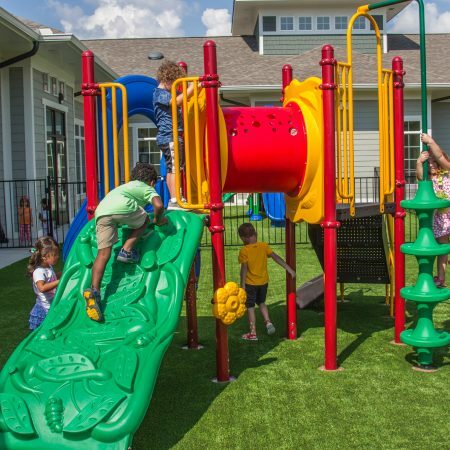 When looking for a structure that has a little bit of everything to offer for kids, consider the Ann Arbor play system. 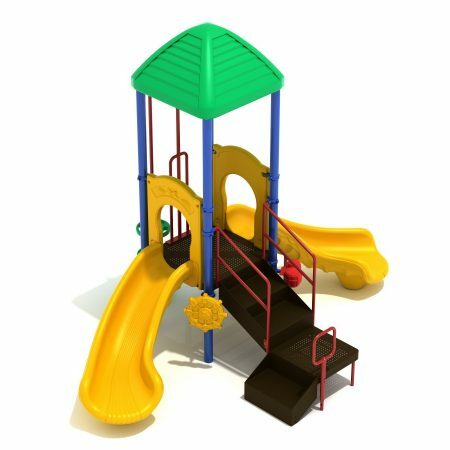 Designed for the 2 to 12 year age range, this unit features two main decks that are connected with a crawl thru tube. 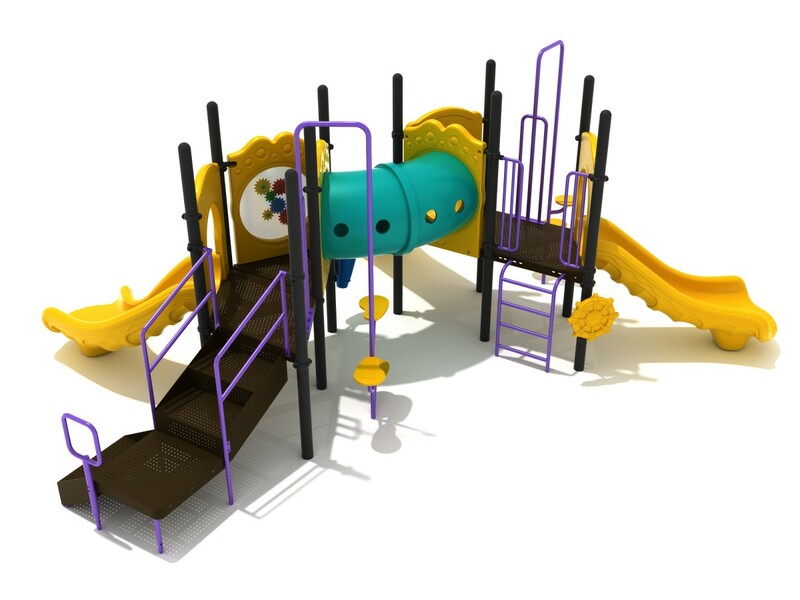 One deck features a right turn slide and a bean pod climber. 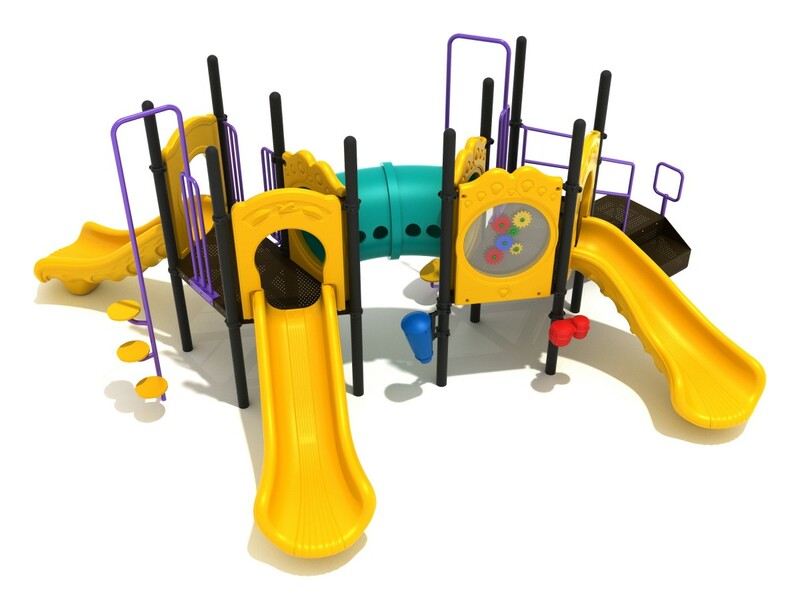 A gear panel is also included for a learning opportunity. The transfer station is also located on this deck. 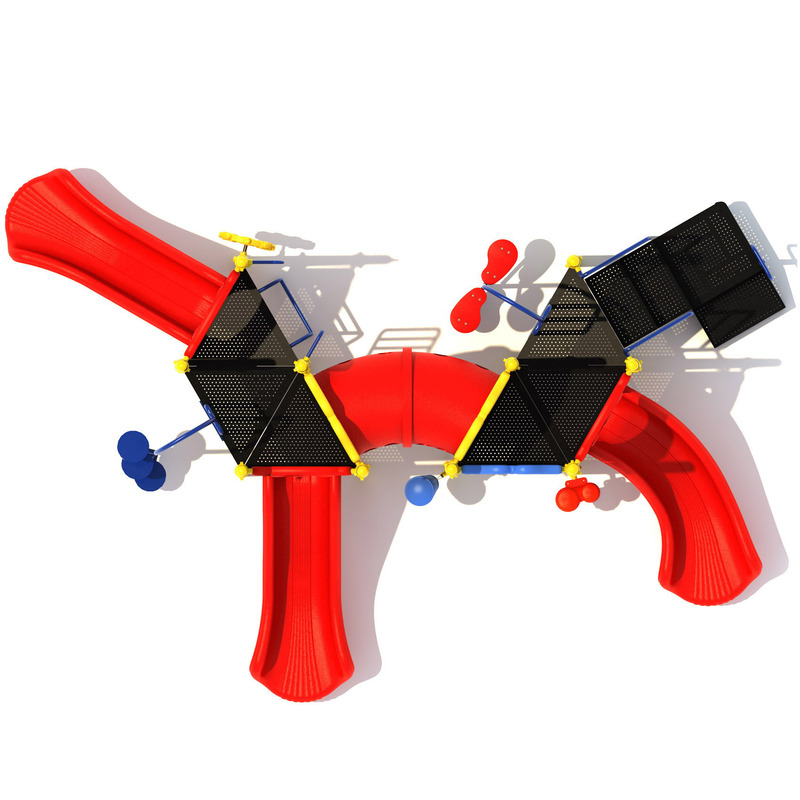 The other deck boasts two straight slides, a vertical climber, and a disc climber. Along the ground level you will find a ship’s wheel, single drum, and double bongos post-mounted for easy reaching. 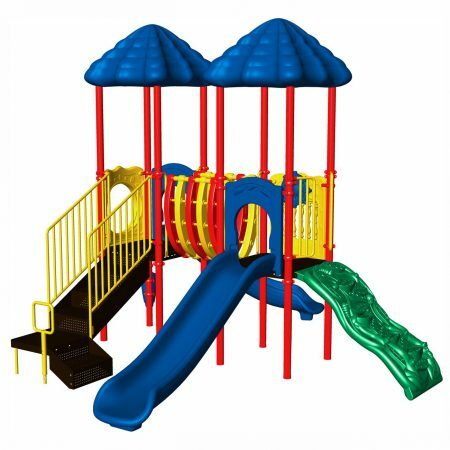 The Ann Arbor play system is ADA compliant. Don’t forget about safety surfacing! By using either poured rubber or a loose-fill surface, you are going to help prevent injury. 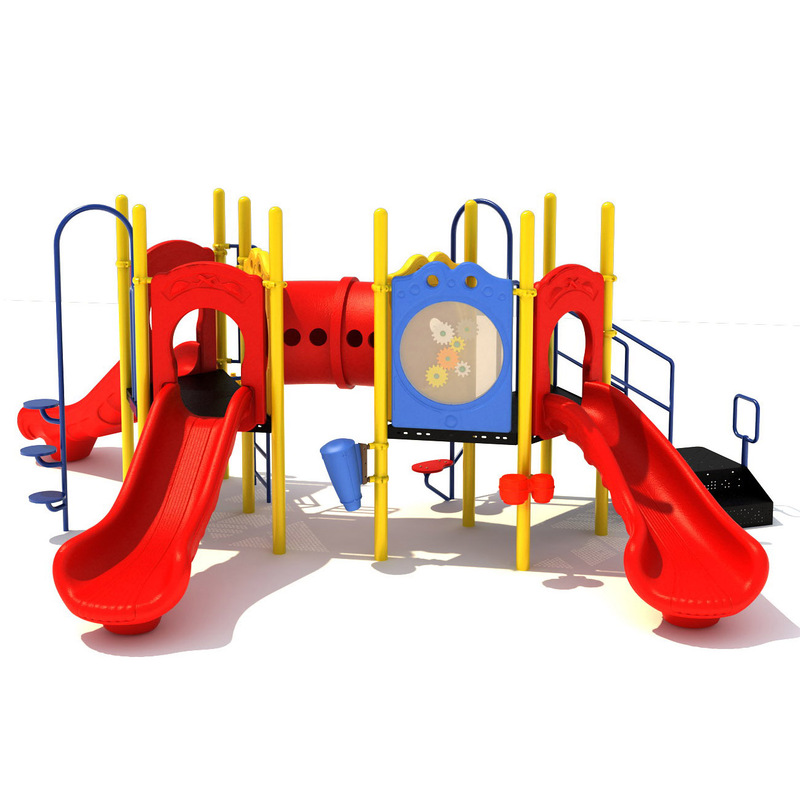 This makes play time safer and provides peace of mind for parents.